Xiaomi Mi Flash Tool is developed by Xiaomi to flash Stock Firmware (Fastboot ROM) on the Mi and Redmi Phones. It comes in handy during the situation when you want to revert back to MIUI from Custom ROM. The MIUI Flash Tool can also be used to unbrick the Xiaomi Smartphone. 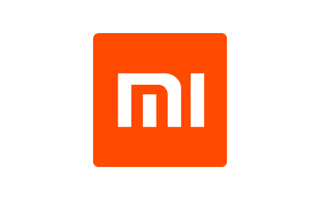 It is also helpful when the device is stuck at Mi Logo (Boot Loop). If you have accidentally soft bricked or hard bricked Xiaomi Phone, then you can take help of this Mi Flashing App to bring the device back to life. It also allows you flash the new updates both beta and stable MIUI ROM’s on the Xiaomi phone. Xiaomi MiFlash Tool is a flashing tool developed by Xiaomi Inc. This tool allows the users to flash the Stock MIUI 8, MIUI 9, MIUI 10 etc. all the older and latest versions of MIUI ROM on any Mi or Redmi Phone. The Xiaomi Flash Tool can only flash the Fastboot ROM files, so Recovery ROM or OTA ROM Package cannot be flashed by the Xiaomi Flash Tool. The fastboot files can be flashed through this tool in Fastboot Mode or EDL Mode. This tool only supports devices powered Qualcomm Chipset. Before installing latest version make sure to uninstall the previous version of MiFlash Tool from your PC. Mi Flash Tool 2017 and up supports both 32-bit and 64-bit versions of Windows 7, Windows 8 and Windows 10. 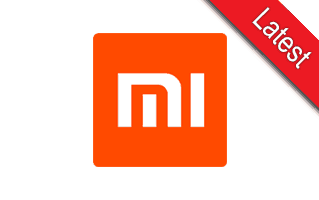 The Xiaomi Mi Flash Tool supports devices launched after Xiaomi Mi 3 only. Xiaomi Mi Flash Tool comes as Installer. While installing the Mi Flashing app, it also installs Xiaomi Drivers and ADB & Fastboot Tool. Xiaomi MiFlash Tool comes with In-Built Drivers which includes Google ADB Drivers, Microsoft MTP and RNDIS Driver, and Qualcomm USB Serial Driver etc. This means we don’t have to install any drivers separately. There are three flashing options available in Xiaomi Flash Tool – Flash all, Flash all except storage, and Flash all except data and storage. These options were replaced by other labels in latest versions and they are named as – clean all, save user data and clean all and lock. Below you can see all the versions of Mi Flash Tool which were released till date. Download the suitable version based on the requirements and flash the Stock Firmware or MIUI 9 or MIUI 10 ROM on your Xiaomi Phone.